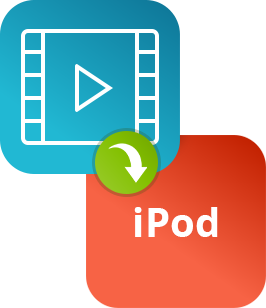 You can convert AVI, MP4, WMV, FLV, and other video formats for iPod in just a few clicks using our convenient video conversion program. 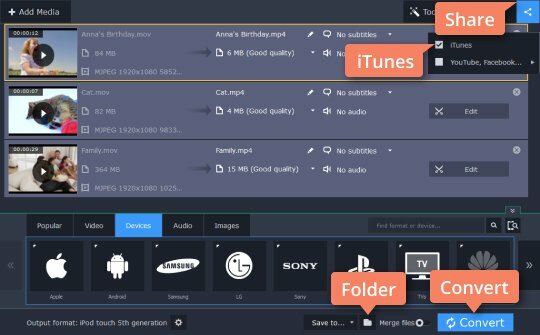 There’s no need to know the ins and outs of formats and settings – just run the program, choose your video, select the appropriate preset, and click Convert! 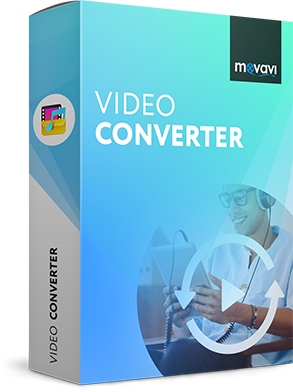 Download the appropriate version of Movavi Video Converter and follow the easy step-by-step instructions on converting videos for iPod. 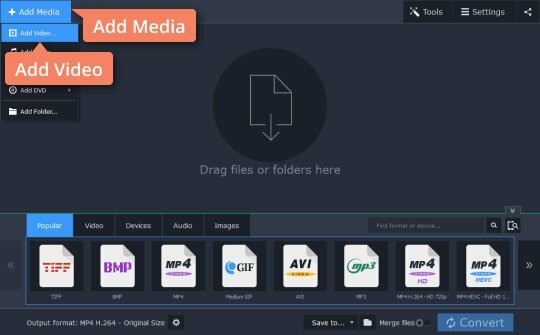 Download Movavi Video Converter. After the downloading process is finished, run the installation file and follow the on-screen instructions. Using the program is just a few moments away! Run the program and click the Add Media button, then Add Video to add the videos you want to convert to the iPod format. In the lower part of the converter window, go to Devices and select the Apple category. Then, choose the preset for your iPod model; the required settings will be selected automatically. Click the Folder icon next to the Save to field to specify where the program should save your converted files. To automatically transfer the converted files to iTunes, click Share on the right and check the iTunes check box. Finally, click the Convert button – and that's it. Conversion doesn’t get any faster or easier! Minimize or close the converter. Attach your iPod to your computer and sync it with iTunes. To play the newly converted movie on the iPod, click iPod Main Menu > Video and then choose Movies. And that's all about using our Movavi Video Converter – an excellent Video to iPod Converter. Got any more movies you want to watch on your iPod Touch or iPod Classic? Just run the converter window and repeat these steps. 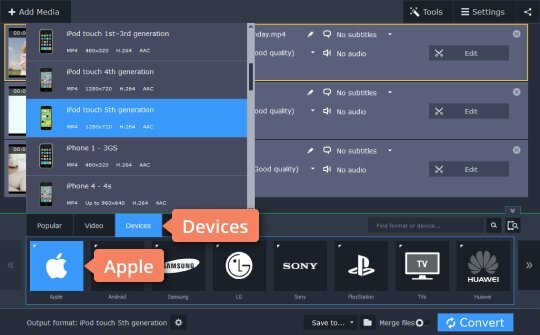 IMPORTANT: To export movies from Movavi Video Converter to your iPod, you must have iTunes 6.0 or higher installed on your computer.